Successful people typically have one thing in common and that is their way of thinking. A driving ambition and unwavering perseverance pushes those who enjoy success to chase their dream and that same willful attitude allows them to catch that dream as soon as they have the chance. Successful people know that anything is possible. They see a new opportunity around every corner and know that they can enjoy the happiness and triumph they desire. Buddha said that “a man is what he thinks all day long.” Success is determined by a person’s attitude and their outlook on life. A person who thinks positively will seem to sail through life trouble free, while those who think of failure see all sorts of obstacles in their path. Not everyone can enjoy magnificent wealth and an affluent lifestyle, but the majority of our population fails to reach even the potential they are capable of. Instead of forging ahead and working harder to reach our goals, we give up and force ourselves to be content with less than we desire. Henry Ford summed up the power of attitude in a single sentence. “Those who think they can and those who think they can’t, they are both right.” With the right attitude and mindset, we can do the things we dream about. We all know that it is possible to do the impossible. We’ve all shocked ourselves, as well as others, at some point in each of our lives by allowing our minds and our mental perseverance to push us to do the seemingly impossible. When we focus on an attitude of success, the exceptional talents we each possess can reach their full potential and carry us to our goals. What you do and the achievements you attain are influenced greatly by the way you think. Everyone has a dream. Whether you see your dreams become reality, enjoying success and prosperity, or you spend your life chasing those dreams, never seeing any real accomplishments, depends almost entirely on your attitude. 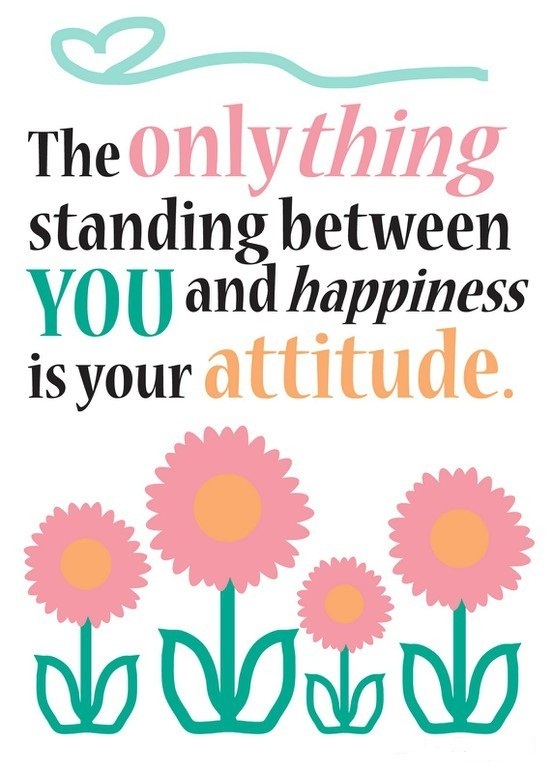 So many people spend all their time and energy working towards their goals, but have a negative attitude. Their thoughts are directed by the problems in the world, not the possibilities. Constant fears of scarcity, poverty, and failure create obstacles in the path of their dreams and these negative barriers leave them stranded in an unsatisfying life. So how, you may ask, can I adopt a positive attitude of success and live my dreams? It is as simple as changing your way of thought! While some people have a natural attitude of success and face every challenge with a conquering assertiveness, most of us have to make a conscience effort to think “I can” rather than “that’s impossible.” Don’t doubt your own abilities. Instead, push yourself forward and keep trying. Most of the time, our own negative thoughts and uncertainty in ourselves are the only thing really keeping us from a successful life. Set goals for yourself and when you face challenges, offer yourself positive encouragement and spur yourself onward. A can-do attitude will make all things possible and will keep your head high when others would give up. When you reach your first goal, you will see a new boost of confidence in your abilities and it will soon be natural to enjoy success. Failure will no longer be your way of thinking. It is important to never forget that a successful attitude incorporates selfless thinking as a way of life. To achieve true success, we must concentrate on improving life for all humanity, not our own lives alone. Wallace Wattles, author of The Science of Getting Rich, instructs us to direct our energy toward creativeness rather than competition. True success comes from the ability to serve others, not the ability to accumulate wealth, power, and fame. With the right attitude and an anything’s possible outlook you can enjoy a truly successful life. By concentrating on what is best for everyone, as well as yourself, you can achieve ultimate satisfaction, both inside and out.